The St. Louis ToyMan Show returns this Sunday, May 6. With over 200 dealer tables, you never know what vintage or new Star Wars, GI Joe, Transformers or He-Man items you might find, and often at great prices! You may even run into yours truly and a few of our forum members! The St. Louis ToyMan Show returns this this Sunday, March 11. The St. Louis ToyMan Show returns this this Sunday, September 24. You may even run into yours truly and a few of our forum members! For more details, click on the image above! 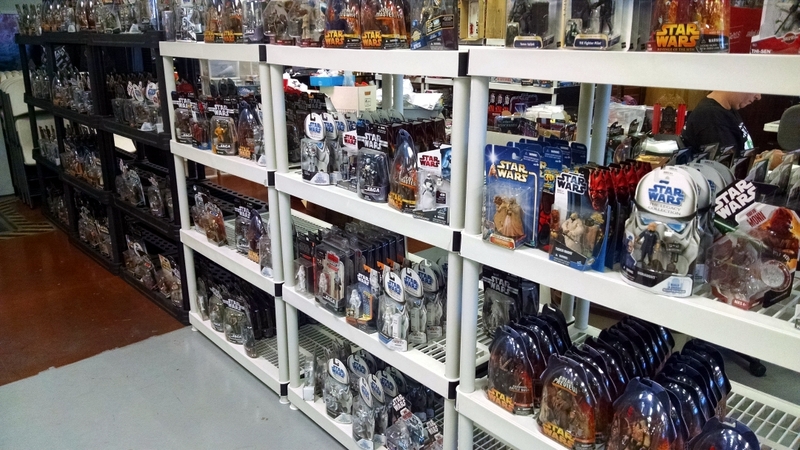 SAGA TOYS, located just south of St. Louis off Highway 55, has restocked with a huge supply of Legacy era Star Wars items. If you’re ever in the St. Louis area, I highly suggest finding some time to check out their showroom of Star Wars, GI JOE, Transformers and various other toy lines. If you have any questions please ask in our forums or check out their Facebook page. The St. Louis ToyMan Show schedule has been released, with the first event coming this Sunday, January 8th. You may even run into yours truly and a few of our forum members! For more details, click on the image above.